Here's the latest comic for Investing.com. This week's comic deals with the current situation in Iraq. More specifically, the comic addresses the effect current instability is having on oil prices. 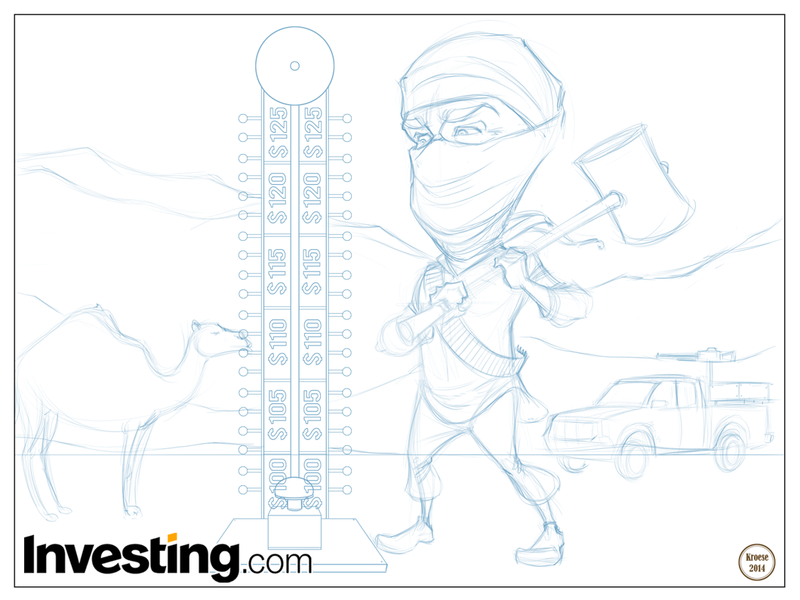 I was asked by the team at Investing.com to draw a terrorist in the desert playing "High Striker" (the carnival game where you hit a post with a mallet and try to ring the bell at the top). 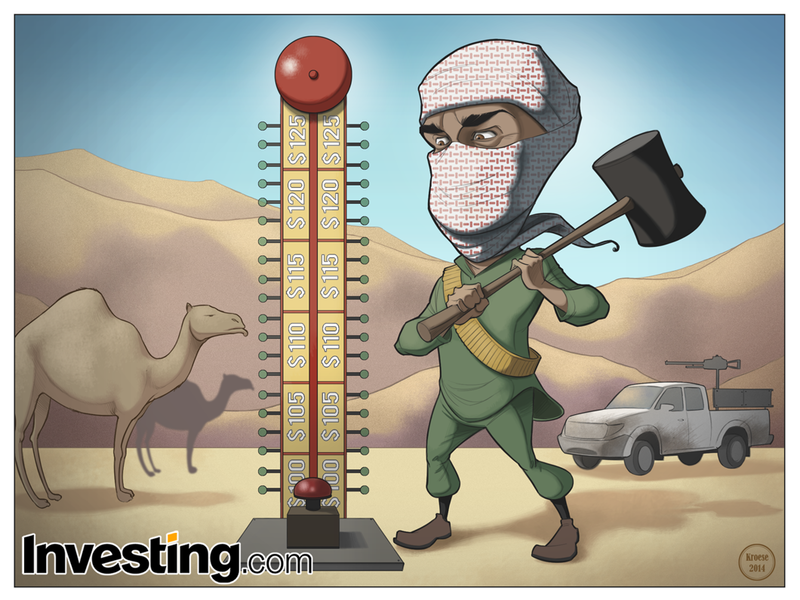 Instead of the regular points, the numbers on the high striker would be replaced with oil prices. In the background, I was asked to include a camel and a truck. This comic was pretty fun to draw. For the record: I mean no disrespect to the people struggling with this situation in Iraq. This is a financial comic. It's only a metaphor for how the unrest in Iraq is influencing the world economy. For the past several weeks the comics for Investing.com have included multiple characters, which left me without much time to consider every element. Because there was only one main character in this comic, I was able to devote more time to the craft of the drawing, composition, color, etc. Also, I've somehow never drawn a camel before, so I can check that off the list. This one was a pleasure to draw and I think it turned out relatively well.